This short overview on the Spectrum Toolbox is based on the article “Spectrum Toolbox Survey: Evolution Towards 5G“, by Michal Szydelko and Marcin Dryjanski that will be presented on the Conference on Cognitive Radio Oriented Wireless Networks (CROWNCOM 2016), held this month in Grenoble, France. Figure below presents an example of the Heterogeneous Network (HetNet) comprising of macro- and Small Cell (SC) layers, accompanied with various spectrum access techniques, including e.g. Carrier Aggregation (CA) and Dual Connectivity (DC) covering both, licensed and unlicensed frequency bands. 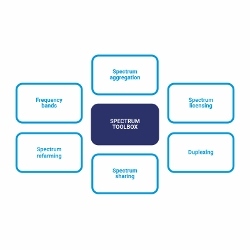 Spectrum Toolbox covers the available frequency bands, spectrum aggregation mechanisms, licensing and duplexing schemes, as well as spectrum sharing and refarming techniques. Spectrum Toolbox evolution over the LTE releases is summarized in the table below. Spectrum Toolbox includes a wide set of bands ranging from 450MHz up to 100GHz with licensed and unlicensed spectrum, covering different licensing options, as well as different access schemes, Bandwidth aggregation mechanisms, duplexing and RATs. 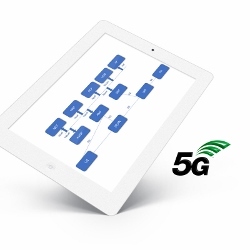 On top of that, 5G requirements target tight integration of all these elements to unify the operation of the next generation mobile systems and to provide the possibility to adapt to different use cases and scenarios that will further complicate the overall landscape. 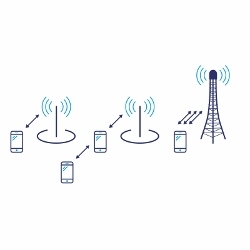 In order to enable efficient usage of new spectrum licensing schemes (like LSA), considering scenarios which are evolving towards Ultra Dense Networks (UDN), the radio resources coordination shall be addressed on multiple levels, namely inter-MNO, inter-RAT, inter-site, inter-layer, inter-band dimensions. To achieve this, it is already obvious that the high level flexibility in the RF domain will be required. Additionally, high level of “programmability” of the baseband units will be needed, relying on Software Defined Networking (SDN) techniques, leading to dynamic spectrum access. On top of that, the overall design of future networks should natively incorporate SON engines, to manage the network towards unified user experience provided across multiple converged radio access technologies. For more, see you in Grenoble! For the elaborations on the individual aspects, we kindly invite all the interested readers to join us during the conference! The full article will be available after the conference in the IEEE Explore.